This article is for Workplace accounts where the bot is already configured. If you have not configured the Workplace Bot yet, see Getting Started with the Workplace Zoom Bot. 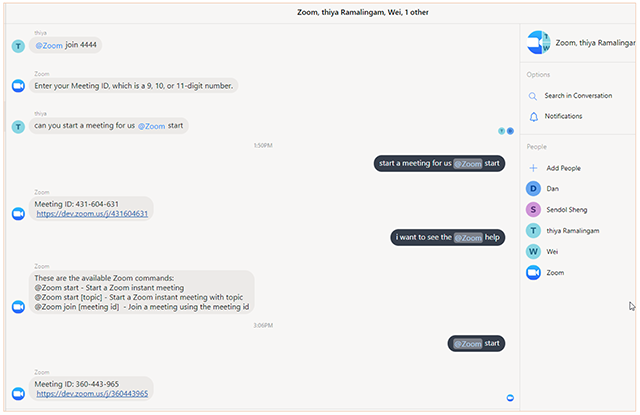 The Workplace Zoom Bot shares meeting information in group chats. 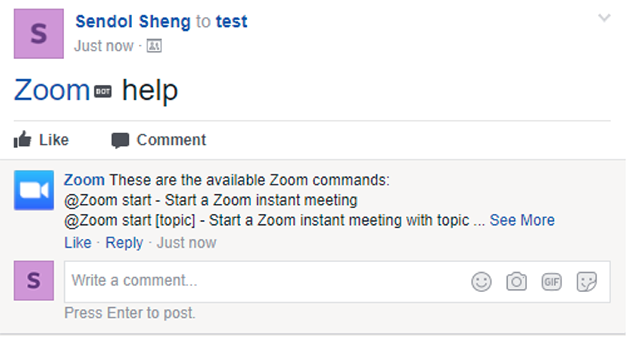 To see information about all available commands, enter the command @zoom help.